Cologne - With the eyes of the world on Der Klassiker on Sunday, meet some of the fans we will be following around the globe as they go through the rollercoaster of emotions provoked by the Bundesliga's biggest game. 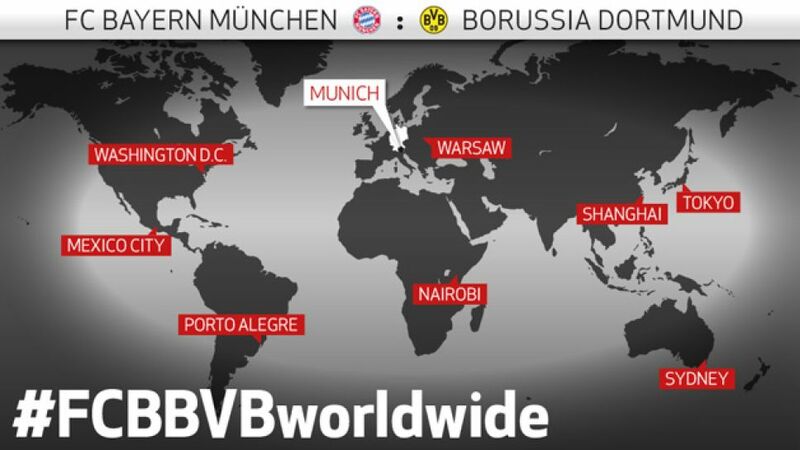 You can also keep up-to-date with them on Twitter under #fcbbvbworldwide. Why Dortmund? My first contact with them came with the 1997 Club World Cup when they played the Brazilian team Cruzeiro. I always followed their games, because they had Brazilian players like Amoroso or Tinga. I became a real fan in the 2010/11 season, because I saw a crazy coach in Jürgen Klopp with a young team that played every match as if it were their last in front of 80,000 passionate fans. I knew then that they were the team for me. Favourite moment? The 3-1 win over Bayern in a sold-out Allianz Arena in 2010/11, the victory against Bayern with a Lewandowski goal when Robben missed a penalty, and the Revierderby when Reus and Aubameyang did Batman and Robin. Where do you watch the Bundesliga? I normally watch games at home, but I'm always in touch with other Borussia fans via social networks. I always go when our fan club in Rio Grande do Sul meets up to watch games, which is usually in the 'Brechó do Futebol' bar in central Porto Alegre or in the indoor football hall 'Mundo dos Esportes' where we have a barbecue. What is special about the Bundesliga? The stadia and the incredible atmosphere. Every game is sold out, and fans stand and sing. The Bundesliga has managed to modernise without losing its soul. Games are always of a high quality with a lot of goals. Your prediction? Aubameyang to get the only goal of the game in a Dortmund win.